You'll be £12.99 closer to your next £10.00 credit when you purchase Hitler's Atlantic Wall: Normandy. What's this? This highly informative book begins with an examination of the background to Germany's primary military objectives in relation to the western end of their self-styled 'Fortress Europe' including the early foundation of shore defences in northern France. In 1941, there was a switch in emphasis of the Atlantic Wall's role from attack to defence. Beach defences became more elaborate and the Nazi-controlled Todt Organisation began a massive building programme constructing new bunkers and reinforcing existing sites, using forced labour. Hitler appointed Rommel to formulate Germany's anti-invasion plans in early 1944. At the same time the Allies were making extensive studies of the fortifications and preparing for the challenge of overcoming this most formidable of obstacles. Using, in many cases, previously unpublished accounts of the soldiers on the ground this book follows Britain's 79th Armoured Division, Sir Percy Hobart's 'Funnies', as they utilised their unique weaponry in support of Allied efforts to ensure the success of the invasion. The author draws on British, American, Canadian and German sources. Hitler's Atlantic Wall – Normandy also includes information on war cemeteries along with travel information and accommodation suggestions and a guide to the relevant museums. The Coast Defense Journal Volume 27, Issue 4. 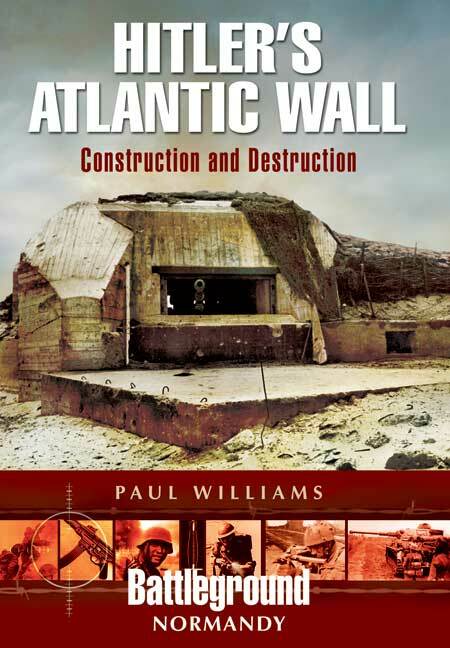 This book is a worthy addition to more than 100 previously published titles in the Battleground series It is essential reference material for anyone planning to visit the Atlantic Wall and for those who would like to make a visit but are prevented. The Battleground series of books is providing an excellent aid to those wishing to visit the battlegrounds along the Atlantic Coast of France. Hitler’s Atlantic Wall was a formidable and huge line of coastal defences, but less capable than the Germans claimed. The book is a worthy addition to more than 100 previously published titles in the Battleground series. It should form part of the library of anyone interested in D-Day and the subsequent campaigns, but it is also essential reference material for anyone planning to visit the Atlantic Wall and for those who would like to make a visit but are prevented. A well written highly illustrated guide book, which includes information on war cemetery, travel information, accommodation suggestions and a guide to relevant musuem. Paul Williams is a sports journalist and freelance writer living and working in Yorkshire. He has been visiting Malta for more than 30 years and owns a holiday home on the island. After having articles on many different subjects published in magazines and on the internet, Malta: Island Under Siege is his first project for Pen & Sword.